I mean – even if you couldn’t care less about the Monarchy (I mean, seriously – I’m Canadian and even I think it’s an outdated concept… despite my heritage telling me I should swoon at its mere mention) you have to admit that there’s going to be some pretty ostentatious glitz & glamour (not to mention pomp and or circumstance) on display when those I Dos are said. 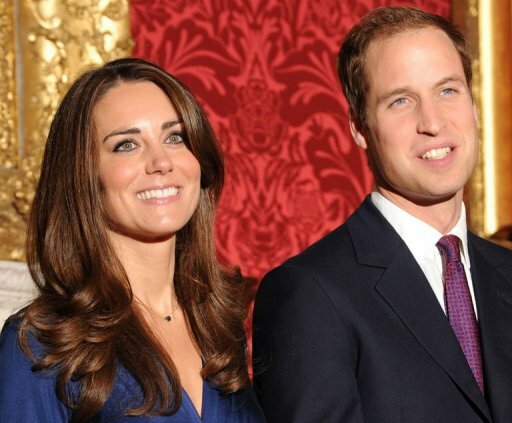 And now the latest is that young Wills has popped the question using his mama’s ring. 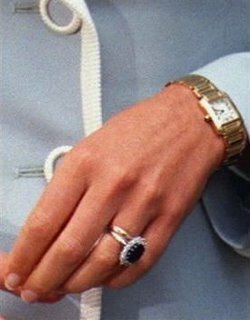 You know the one: Princess Diana’s 18 carat sapphire? The one Prince Charles gave her when he proposed (oh, if only she’d known…) 30-plus years ago? That’s a helluva ring to be just sitting in a safe somewhere – so why not trot it out on another young, rock star princess, right? Hopefully it’s not tainted by the previous owner’s unlucky marital history. And, hopefully, young Kate won’t also be sporting that early 80’s style worn by Diana when she walked down the aisle. This entry was posted on Tuesday, November 16th, 2010 at 12:58 pm	and is filed under Finding Fabulous, The Confessional. You can follow any responses to this entry through the RSS 2.0 feed. You can leave a response, or trackback from your own site.